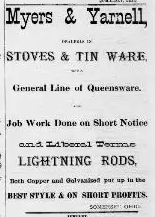 The following articles and tidbits are not about Nellie, but serve to illustrate what Somerset and Perry County were like during her time period. 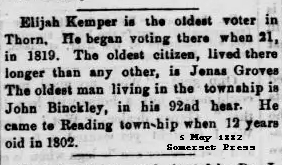 The next item is one that makes mention of the oldest voter in the township in 1882. The last item refers to a lecture that took place in Somerset. This next tidbit may be a bit more familiar to those of you who follow Perry County history on a regular basis. 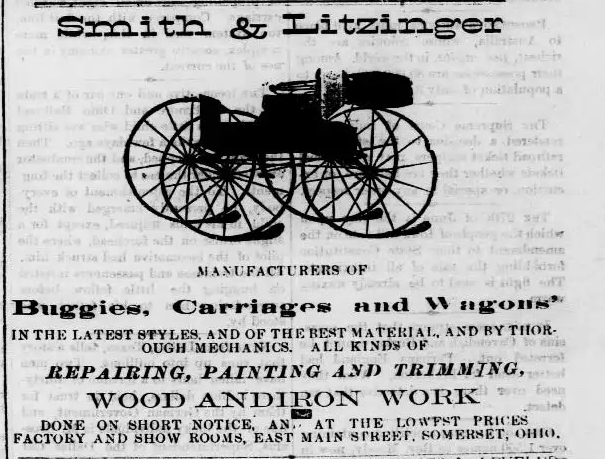 It is an advertisement for the store of Abraham Levitt. Abraham Levitt was a long time resident of the Babb House. The American House Hotel was the place in which T.C. Wilson resided when he first returned home from Harvard and was engaged in his business, Wilson and Brehm, as a merchant. This was the business that Nellie would take over after his death. After living at this hotel, he moved in with his mother and sister in the Babb house. They had a servan named Mary Souslin. Souslin is an old Perry County name.